The “My Account” settings can be found in wp-dashboard→User Frontend→Settings → My Account. 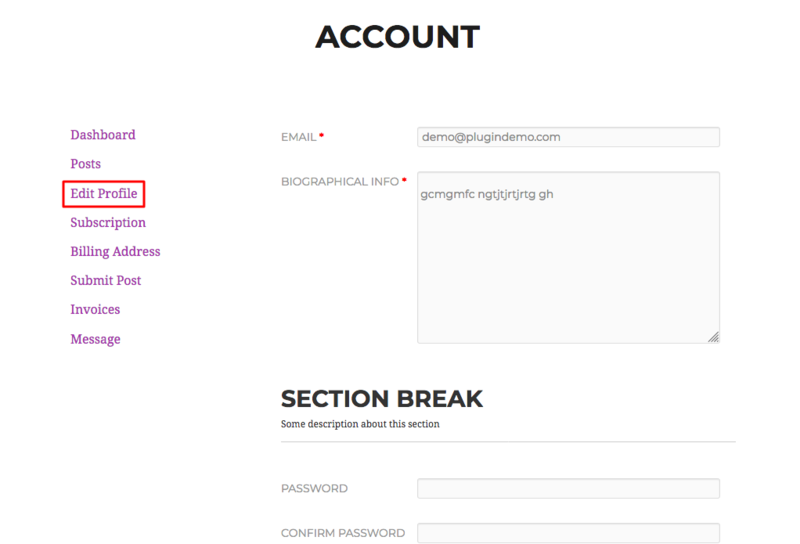 To help your users show their respective account details, you must use this option. Make sure that you have created and published a page with the shortcode:[wpuf_account] After that, select the page containing the shortcode from the dropdown list. If you don't use this shortcode then users won't be able to see the details of their respective account. Dashboard: Your users can easily navigate to their individual dashboard by clicking this option. Posts: The users can see their submitted posts with this option if they click on it. 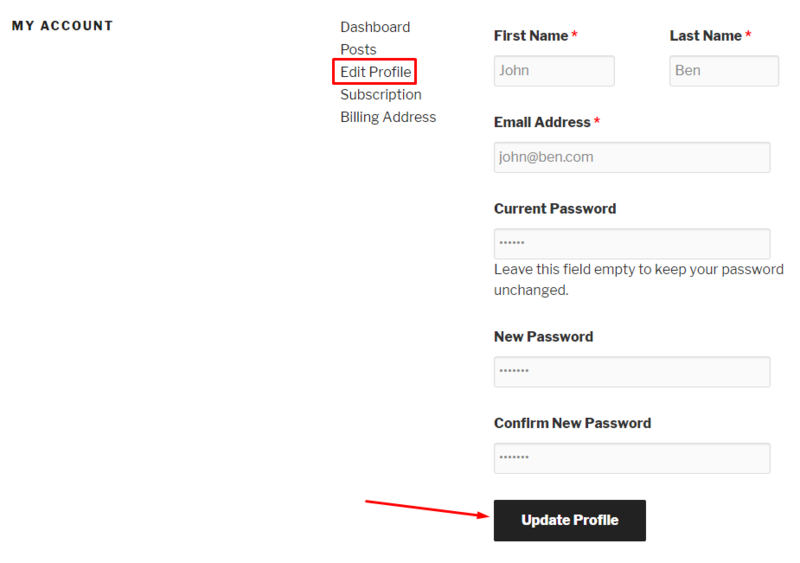 Edit Profile: Users can directly update their profile with this option. After filling out the fields, they must hit the “Update Profile” button to save the changes. Checking this option will add an extra menu item called “Subscription“. By clicking on the ‘Subscription‘ option, users will be able to see the subscription packages they subscribe to. 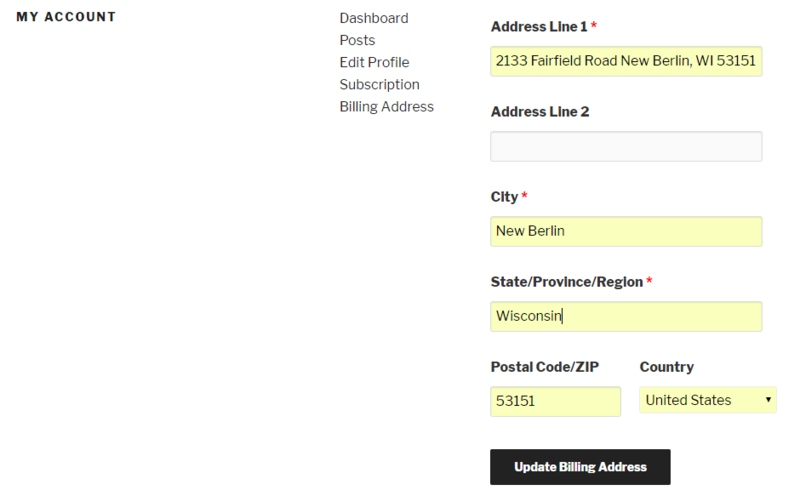 Checking this option will add an extra menu item called “Billing Address“. Using the “Billing Address” option, users will be able to see their respective billing addresses. Please note that in either of the three cases, you will have to ensure saving the changes by clicking on the “Save Draft” button. Admins can allow users to submit a post directly from My Account page with WPUF Free 2.9.0, without having to search for the Post Menu. To do this Admins are required to navigate to wp-admin→User Frontend→Settings→My Account. Then enable the checkbox for Post Submission. Change the Submission Menu Label if you like. And select the Submission Form from the drop-down. Then click on Save Changes. Now a new menu Submit Post will appear in My Account page. Users can view this form from their Account page. The same assigned form will appear in all user accounts. To submit a post, go to site frontend→My Account→Submit Post. Fill out the form and click on Submit Post. Submitted posts can be viewed under My Account→Posts. Admins can also allow registered users to edit their profile from frontend. To do this, admins need to navigate to wp-admin→User Frontend→Settings→My Account. 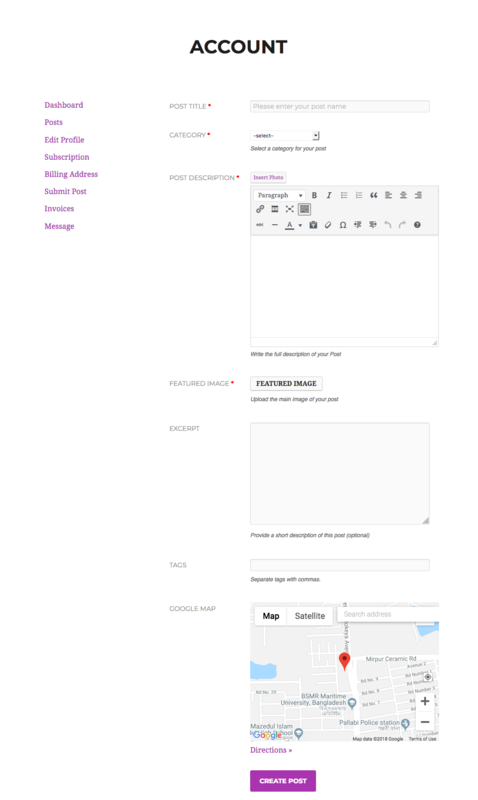 Then enable the checkbox for Edit Profile, and select the Profile Form from the drop-down that will be used to input changes. Then click on Save Changes. Users will now be able to make changes to their profile using the assigned form.